Assia Boundaoui is an Algerian-American journalist and filmmaker based in Chicago. She has reported for the BBC, NPR, PRI, AlJazeera, VICE, and CNN. Her debut short film about hijabi hair salons for the HBO Lenny documentary series premiered at the 2018 Sundance Film Festival. 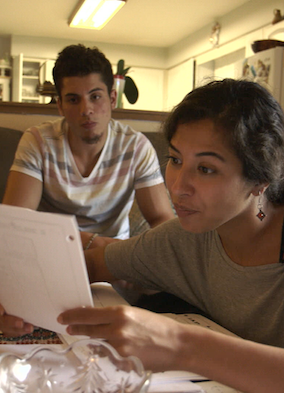 Her feature-length debut The Feeling of Being Watched, a documentary investigating a decade of FBI surveillance in Boundaoui's Muslim-American community, had its world premiere at the 2018 Tribeca Film Festival. She is currently a fellow with the Co-Creation Studio at the MIT Open Documentary Lab, where she is iterating her most recent work, the Inverse Surveillance Project. Boundaoui has a Masters degree in journalism from New York University and is fluent in Arabic.